Fire up your web browser and try to solve a disappearance and a spate of murders. This is a horror game where you are an investigative journalist searching for a missing girl whose death is being broadcast on the dark web. You’ll find a lot of references to the dark web and sketchy websites. For instance, the main currency in-game is DOScoin, a parody of cryptocurrencies that you can mine. Periodically, the police will try to raid you for hacking, or associated “sketchy dudes”™ will stalk you to deter your investigation. These moments are probably the most tense in the game, which showers you with malaise about online communities at pretty much all other times. Also, the electrics in your building are bad. This is not a lighthearted game. The websites that you have to browse cross the line from are a bit edgy to extreme. Your apartment building is dark and dank (not in a good way) and the power keeps shutting off. The first sign of police in the game can be either the sound of sirens when you visit your balcony, or the sounds of boots outside your door. The game does not tell you the majority of the activities you can engage in. It starts you off with a short skype-esque phone call from your primary informant before drop kicking you into tinfoil territory. It is related to other indie horror games that have reached the public spotlight, playing off the success of Five Nights at Freddy’s and Amnesia. The genre lends itself to small independent studios generating fairly regular content, similar to its movie counterparts. I don’t think the genre necessarily lends itself to that, but the lack of high budget competitors in such a niche market makes it attractive towards small studios. That being said, the semi-narrative horror game is a narratively innovative genre to get into, albeit one that requires lights on and at least a few hours before bed. While it maintains its atmosphere quite well, the game runs poorly. The in game web browser (a parody of TOR) runs slowly and is buggy as hell. You can actually browse the internet on it if you want, but the game’s plot takes place inside the game’s faux-TOR network. Even walking around your apartment has framerate drops. As the game isn’t predicated on your reaction times (except for a few mini-games), your chances of success aren’t hurt by this problem, but it makes the game rather less playable. The game is also very dark (in the lighting sense), which makes it rather hard to play during the day or with addons like flUx. There is a flashlight next to your bed. 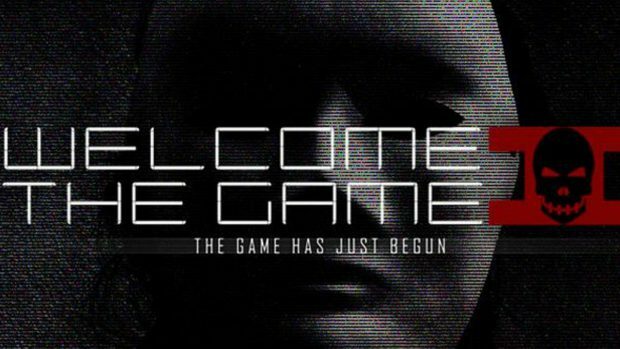 If you have any interest in horror games, creepypasta, or conspiracy theories, I’d recommend this game, although it gets a little extreme. Welcome To The Game II gets six kidnappers in vans out of ten.